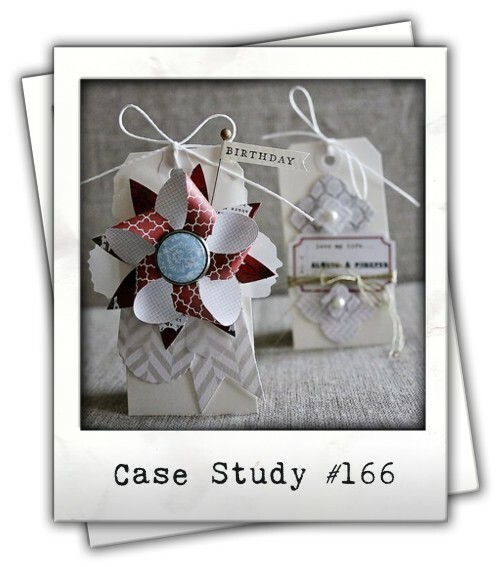 It's week two at CASE Study with our November muse Keisha Campbell, I'm loving her creations. Here's Keisha's inspiration for this week. I just love her tags! 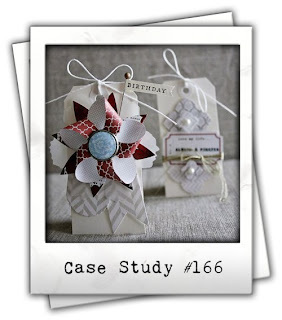 I love all the elements in Keisha's tags, there's fabulous dimension and attention to detail. 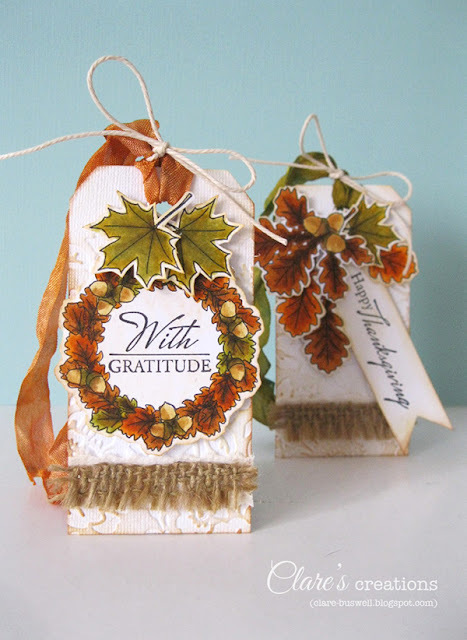 Inspired by her tags I also made two but with an Autumnal/ Fall feel (I'm not ready for winter yet!). For both of my tags I used some Core Tags from Core'dinations as my base (I just love the texture! 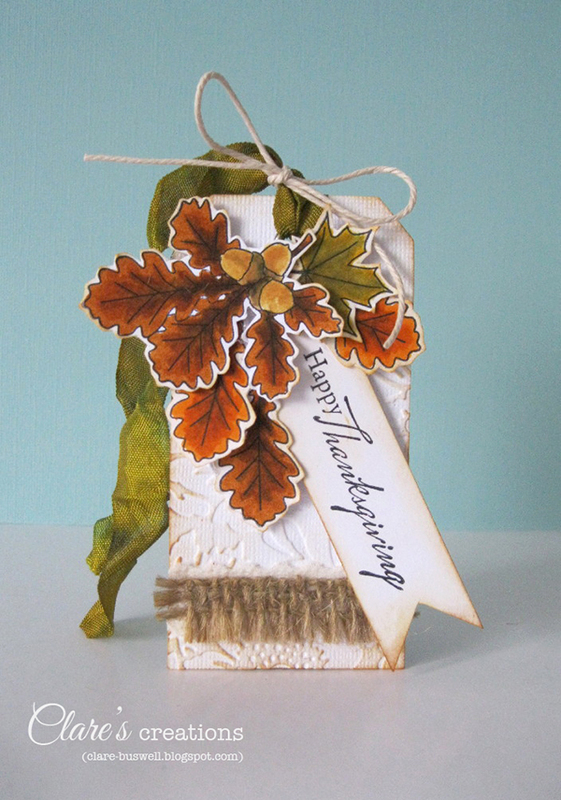 ), embossed with an Anna Griffin embossing folder and inked with Scattered Straw and Vintage Photo Distress Inks. I used the Peace and Plenty stamp set from Waltzingmouse Stamps for all the stamping and yes, there is a LOT of fussy cutting going on! Everything is colored using Distress Markers and I dyed some seam binding using the same color Distress Stains. Labels: Autumn, Core Tags, Core'dinations ColorCore Cardstock, Distress Markers, Fall, Peace and Plenty., tags, Thanksgiving, Waltzingmouse Stamps. 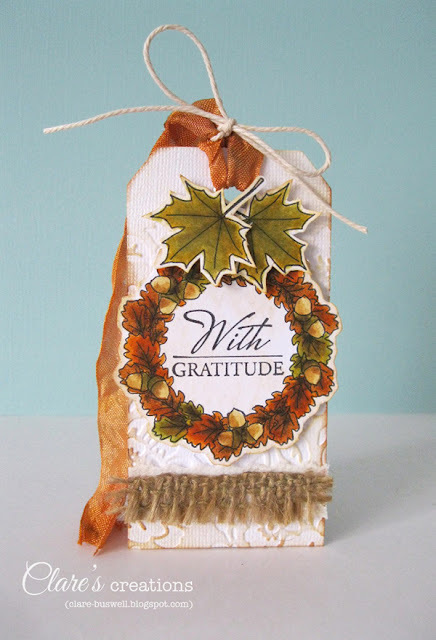 I love your fall inspired tags! Love these tags! Beautiful colors, beautifully designed and so warm and cozy!! 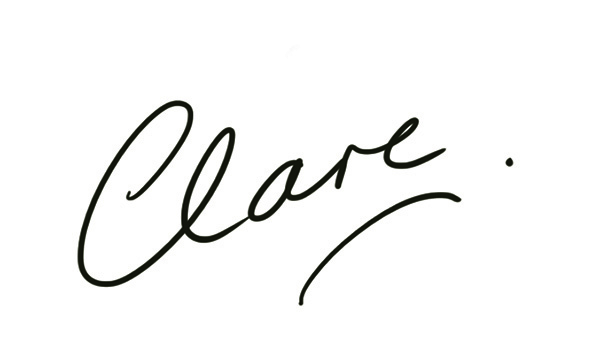 Your tags are gorgeous Clare! I have that stamp set and am inspired to dig it out again now - thank you! I love these tags. All the little details like the embossing take them over the top. I thought these were stunning Clare, you really are the bees knees! A little bit of chalkboard..